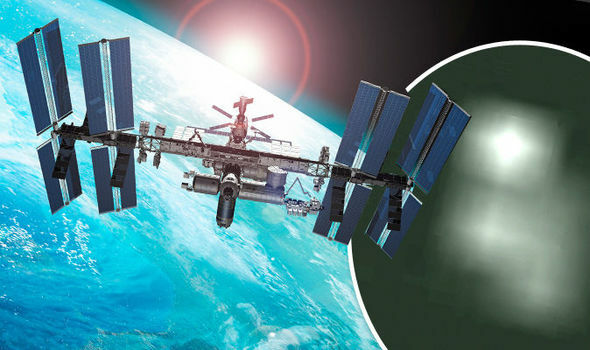 NASA was reportedly forced to end a live stream from the International Space Station as THREE UFOs blasted out of Earth's atmosphere. “BINGO Caught them red handed leaving earths orbit,” one viewer wrote on Youtube “Thats the kind of proof that is needed." The NASA footage – entitled “UFO Mysteries: UFOs, Angels Or Biological Creatures Seen Leaving The Earth?” – appeared online earlier this week. NASA has not yet commented on the flashing lights captured during its live broadcast. Of course, its possible the YouTube video has been doctored, or the unexplained objects are simply a trick of the light. But this is not the first time conspiracy theorists claim NASA has inadvertently captured extra terrestrial activity. Live streams from the International Space Station have triggered hundreds of viral videos claiming to show proof of alien crafts. One such clip – posted on YouTube by user Streetcap1 – reportedly shows a small white disc flying near to the space station. Critics claim the alleged UFO sightings on the live feed are simply down to NASA's poor camera and this latest sighting is likely to be a distorted view of the Moon.